Mary Chenoweth, Untitled. Undated color lithograph. Currently on view is a color lithography by Mary Chenoweth, a recent acquisition to our Permanent Collection. Mary Chenoweth was born in Tulsa, Oklahoma and studied at both the Art Institute of Chicago and the Pratt Institute in New York City before completing her B.F.A. at the University of Denver in 1950, where she studied with Vance Kirkland. She was awarded an M.F.A. from the University of Illinois at Champaign-Urbana in 1953 and was then hired to teach in Colorado Springs at what would become the art department at Colorado College, where she taught until her retirement in 1983. Along with her once-professor Vance Kirkland, Chenoweth was instrumental in the development of Modern art in this region. In many of her works, Chenoweth adopted the visual language of abstract Cubism through mixed media and collage – a process she began after moving to Colorado Springs. On a 1954 visit to Mexico, Chenoweth became fascinated with the oversized street posters she encountered there. Chenoweth’s frequent use of collaged paper, and imagery derived from it, can also be attributed to her exposure to the folk arts of China, Malaysia, Morocco, and Australia. 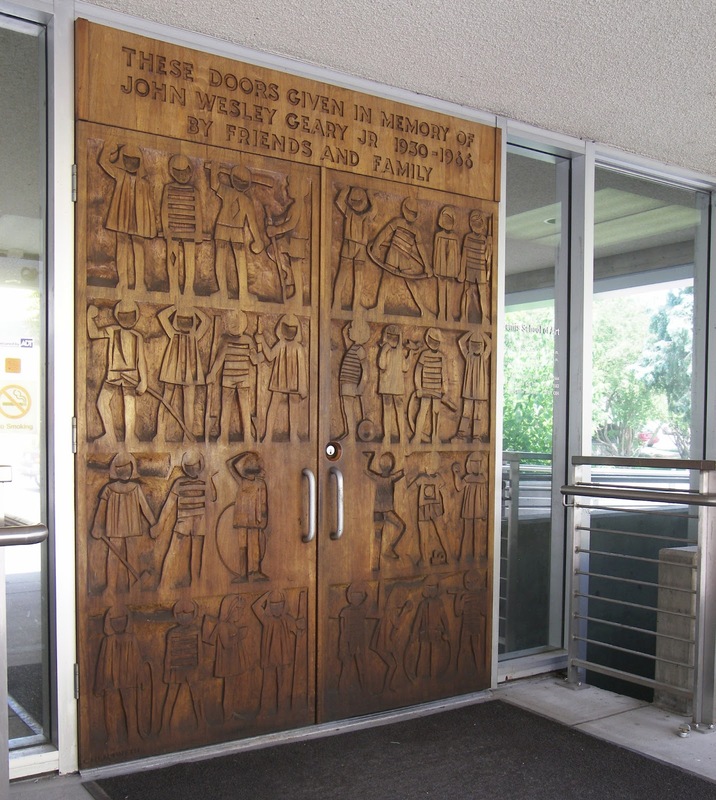 This overlay of Modernism with folk art imagery provided some of Chenoweth’s strongest work, and is very evident in her door panels that can be viewed when you enter the Bemis School of Art. 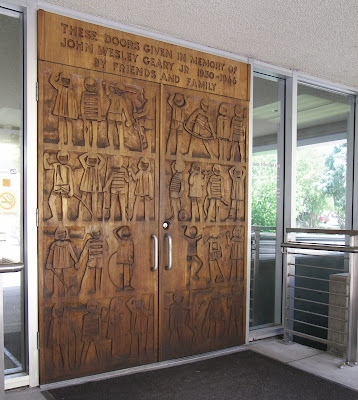 Main entrance doors to the Bemis School of Art. Chenoweth was a highly prolific artist who was adept in various media, from printmaking to sculpture to drawing and painting. She was an important figure in the history of the FAC and Colorado College, and has a lasting legacy in the city of Colorado Springs.